This recorded webinar is for Primary and Specialty Care Physicians, Medical Directors, Physician Assistants, Advanced Practice Registered Nurses and Health Care Home Teams including Care Coordinators. Dr. Ericka Tung and Dr. Terry Barclay present consensus-based practice tools, developed by ACT on Alzheimer's, to support providers in offering best practice care in the detection, treatment and management of patients with memory issues. User tools include a practice algorithm for all phases of the disease process. Using a case study format, this webinar helps providers understand when and how to apply the practice tools in their day-to-day work with patients, including managing functional changes and behavioral expressions that can complicate care and negatively impact outcomes and experience. 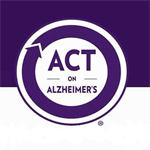 Upon completion of the webinar, participants will have an understanding of how to access ACT on Alzheimer’s® evidence- and consensus-based practice tools and resources, reference practice tools and resources and better serve and foster good outcomes for patients with memory issues as well as their care partners. The Minnesota Medical Association designates this enduring activity for a maximum of 1.75 AMA PRA Category 1 Credit(s)™. Physicians should claim only the credit commensurate with the extent of their participation in the activity.